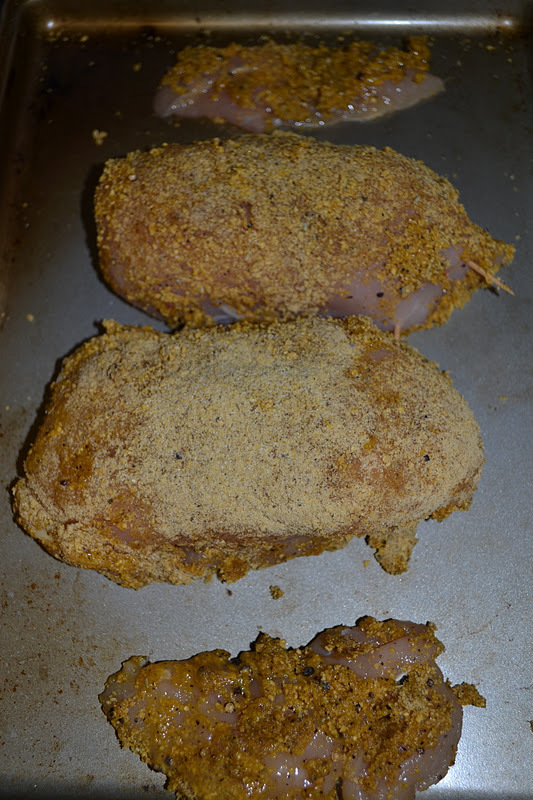 It's been a very long time since I made dinner for GB so I decided to try out this recipe for Chicken Cordon Bleu. It's always been one of my favorites and it seemed really easy. GB was my sous chef this time and cut the chicken for me. He ground those herbs with cornflakes. 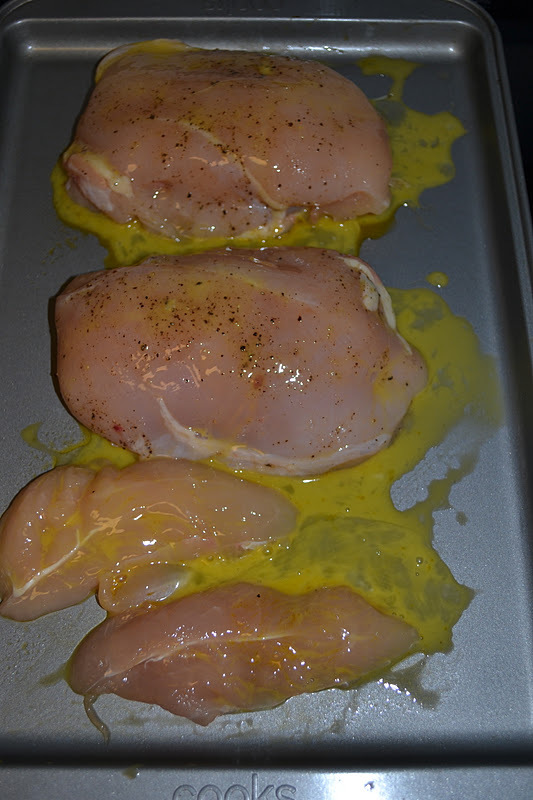 I'm not off to a very good start for 'allegedly' making dinner for GB. My turn! I wrapped provolone cheese and the deli ham in the chicken. I closed the chicken with toothpicks. Otherwise all of the ingredients would have oozed out. I made the egg wash! I don't think I did this right. 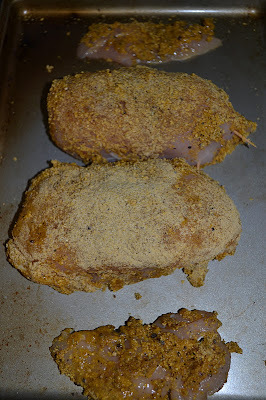 Next I coated the chicken with the cornflake/herb mixture. After almost an hour at 350° they were all done. They did not look like the chicken cordon bleu I buy at the grocery store. The cheese even oozed out despite all the toothpicks. Overall we really enjoyed the chicken. I was pretty proud of myself for doing 50% of the work. Next time, I would have used more cornflakes so it would have been crispier. If you make this - omit the toothpicks. GB almost choked on them. If you decide to make this recipe, give me a shout! You contact me on twitter @kissmysmash, email kissmysmash (at) gmail (dot) com, or like the Kiss My Smash Facebook page and leave me a post! You'd be surprised! GB's really loving veggies lately! Click on the Cooking Disasters tab and read the 'Apparently I love Quesadillas' post. You'll love it!